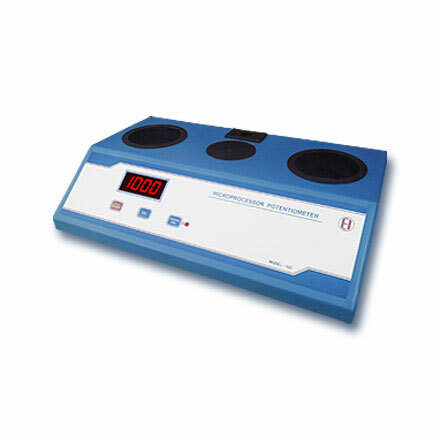 Potentiometer | products Categories | Electronics India - Manufacturer, Supplier and Exporter of Analytical, Scientific Laboratory and Pharmaceautical Instruments in India. Electronics India is one of the most preeminent Potentiometers manufacturer, supplier and exporter from India. We offer both Microprocessor Based Potentiometers and Digital Potentiometers for different user needs. Microprocessor Potentiometer is a solid state instrument designed to provide the precise potentiometric measurements. The instrument uses the latest microcontroller technology and advanced engineering techniques so as to give enhanced accuracy and reproducibility. The system has user friendly prompts which guide you through out the measurement process. The system has 3 soft touch membrane type keys for ease of operation. he instrument have built-in stirrer and internal standard facility. 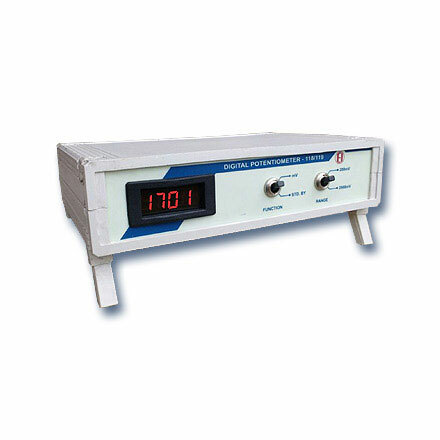 Electronics India is also counted among the leading manufacturer and supplier of other electrochemistry instruments like pH Meters, Conductivity Meters, TDS Meters, Dissolved Oxygen Meter, Turbidity Meters, Colony Counters, Nephelometers etc. from India.